27 out of 60 potential jurors screened to be on drug-kingpin El Chapo’s case were dismissed, and some for bizarre reasons. El Chapo’s indictment lists 17 counts, and he pleaded not guilty to them all in January 2017. Opening statements will be read on Tuesday. El Chapo is the leader of the Mexican “Sinaloa Cartel,” and was extradited to the United States from Mexico in January, 2017. Frome eating Chapo-themed bagels to impersonating Michael Jackson, truly unusual circumstances have held back jurors from serving on the case. A 12-person jury has been confirmed for the trial of drug kingpin Joaquín “El Chapo” Guzman — but 27 out of the 60 potential jurors had to be dismissed, some for bizarre reasons. US District Judge Brian Cogan is overseeing jury selection, and made public why people had been dismissed during selection which lasted from Monday to Wednesday. 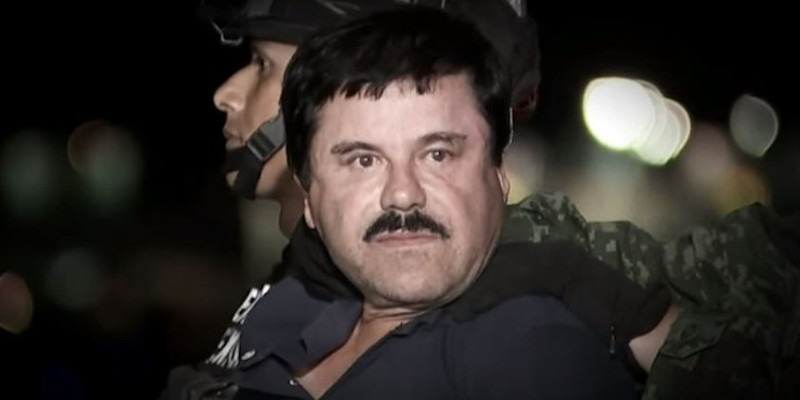 Just before he was sent packing, El Chapo’s lawyer, Jeffrey Lichtman, asked prosecutors to let the man join the jury, regardless of wanting an autograph, Reuters said. Lichtman’s justification was: “I have the autograph of Charles Manson, and the two leaders of Hamas, and obviously I’m not a big fan of them,” the news agency reported. Another man up for selection was sent home as he told the court he often ordered a bagel sandwich called the “El Chapo” at his local deli, CNN reported. Read more: El Chapo’s sons are reportedly running his drug empire as the kingpin’s trial kicks off. Another of the 27 potential jurors dismissed was let go because he was a Michael Jackson impersonator, Reuters reported, which Judge Cogan though may allow people to identify him. Several people were rejected for more serious reasons, because they were scared, CNN said. This included one woman, who read a news report saying El Chapo had promised not to kill jurors and it had made her anxious about being on the jury, according to Reuters. The seven women and five men on the jury are to remain anonymous throughout the case, which could last four months, Associated Press reported. Read more: The Brooklyn Bridge is stuck in a traffic nightmare because of infamous drug kingpin El Chapo. Nearly all the jurors who were ultimately selected said they knew who Guzman was, but could still make impartial decisions, CNN reported. El Chapo is the leader of the Mexican “Sinaloa Cartel,” and was extradited to the United States from Mexico on January 19, 2017, after he busted out of two Mexican prisons, and was captured again. He pleaded not guilty in January 2017. Opening statements will be read on Monday.